After the release of Google+ pages for business and brands, today Google released the Google+ Badges for the websites. Google+ Badges is similar and operate like Facebook Like box. 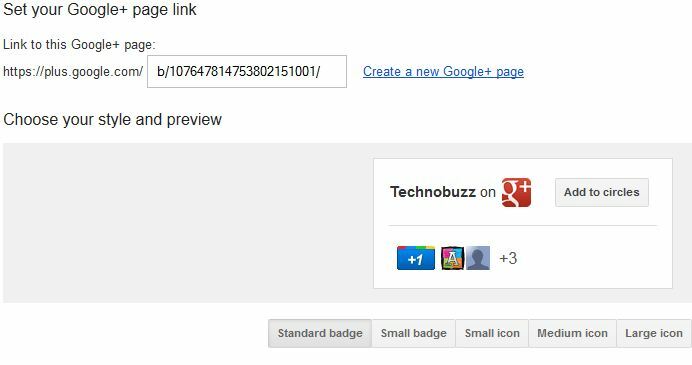 The Google+ Badge widget is easy to install on website and with the help of Google+ badge users can +1 a webpage or add that page to their Google+ circles. To get the badge for your website or blog, sign up for the Google’s G+ platform preview group and then visit our configuration tool and choose the badge size that’s best for your website/blog. If you’re in the group, you may also begin to encounter the badge as you browse around the web. Our new Google+ Fan Page badge is now live, which you can see on our right sidebar. Give us some G+ love and drop us into one of your circles! (The Google+ Fan Page badges will only be visible to people specifically signed up with the Developer Preview Group.) You can, of course, follow us on our new Google+ brand page right here.